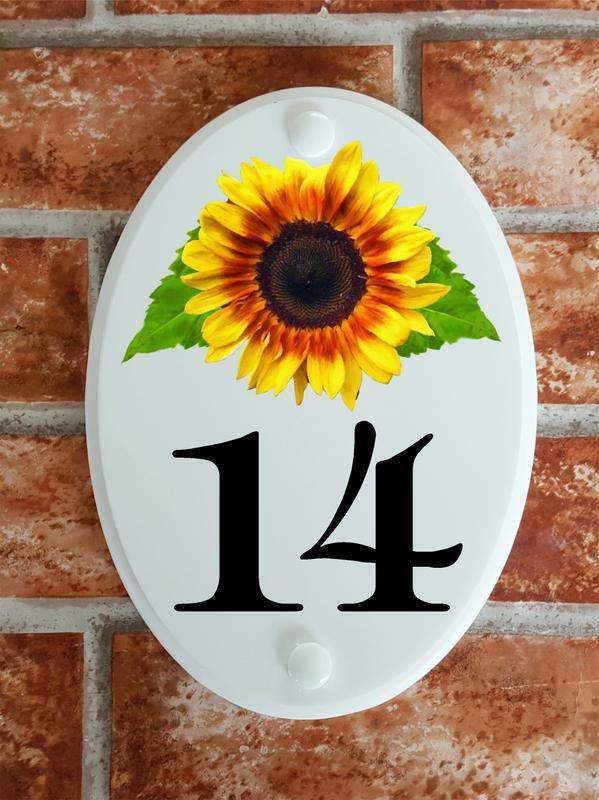 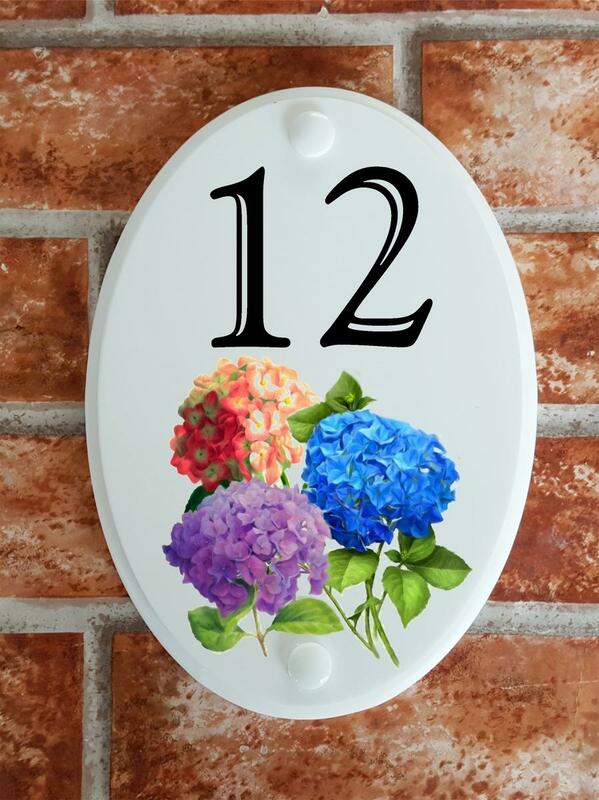 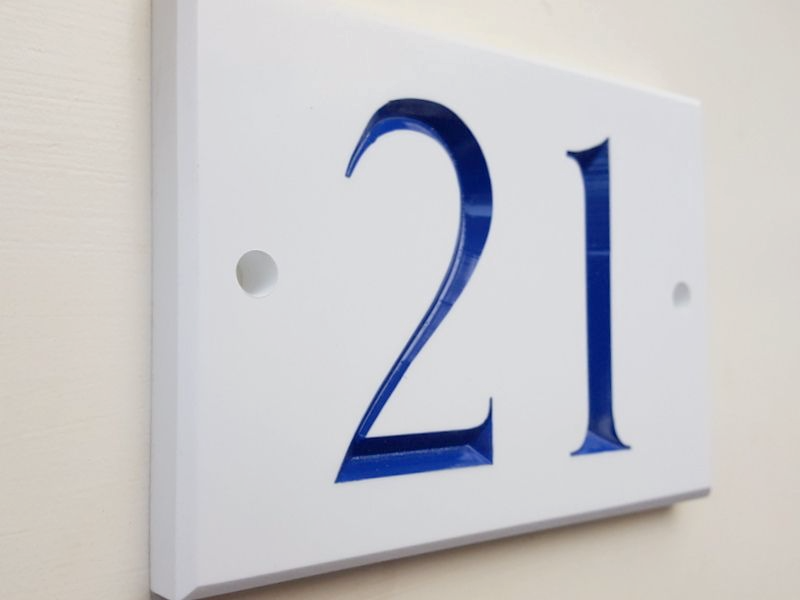 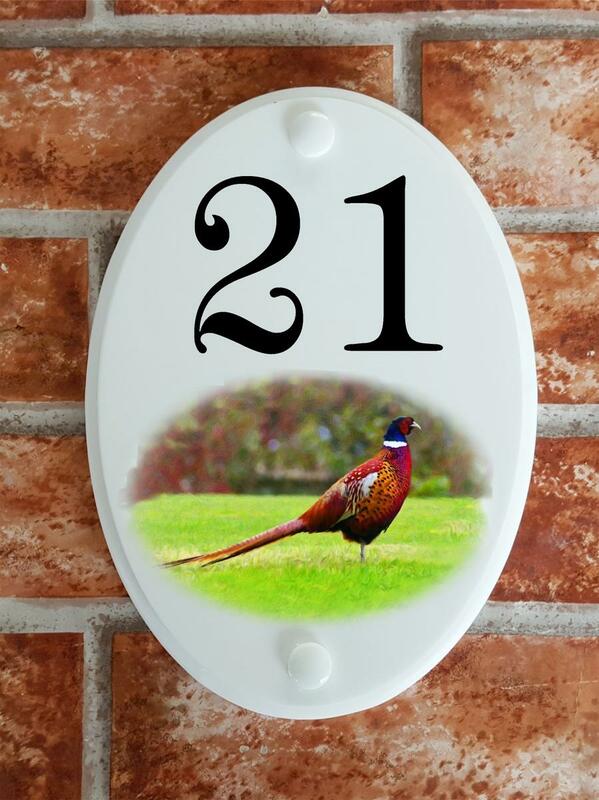 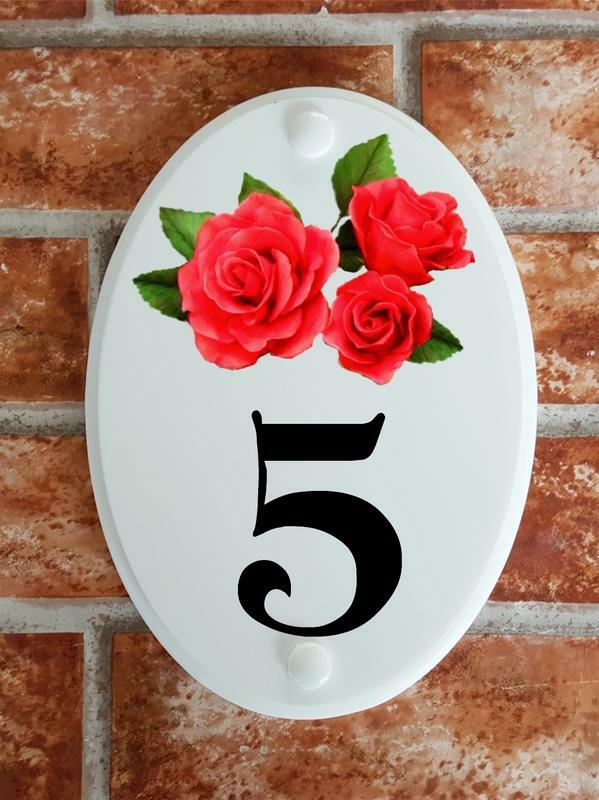 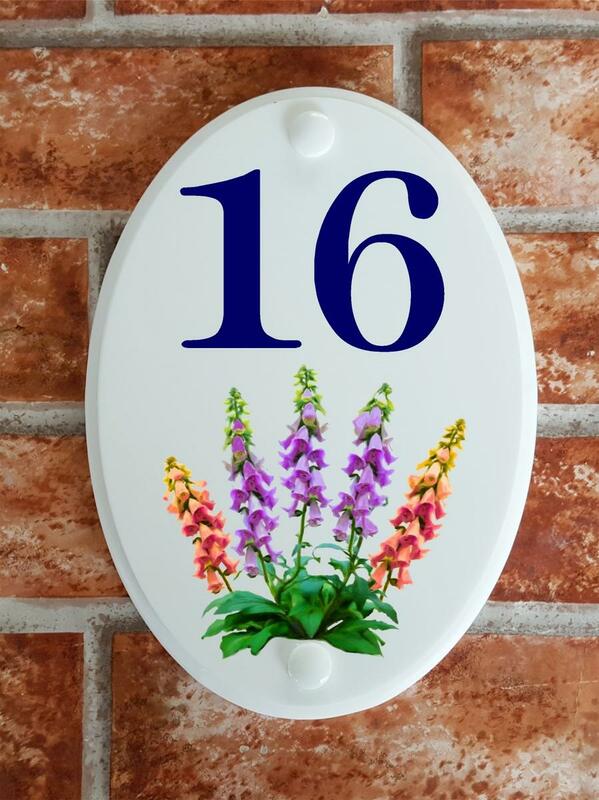 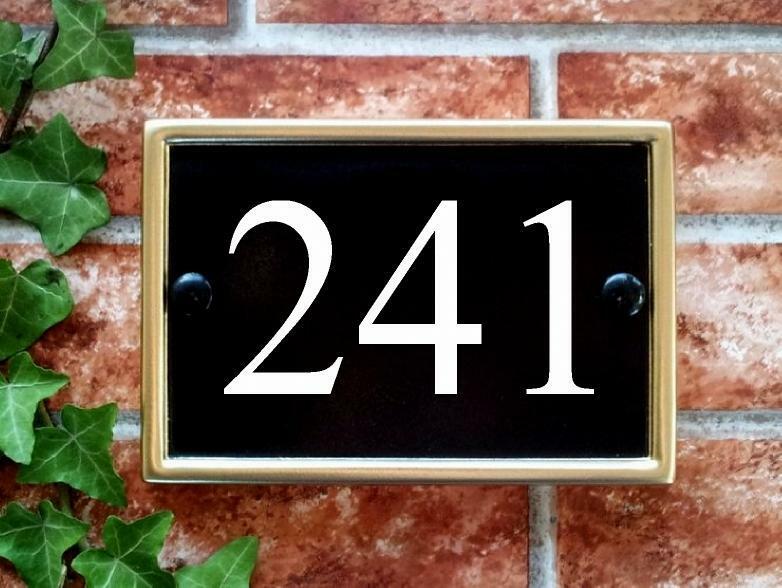 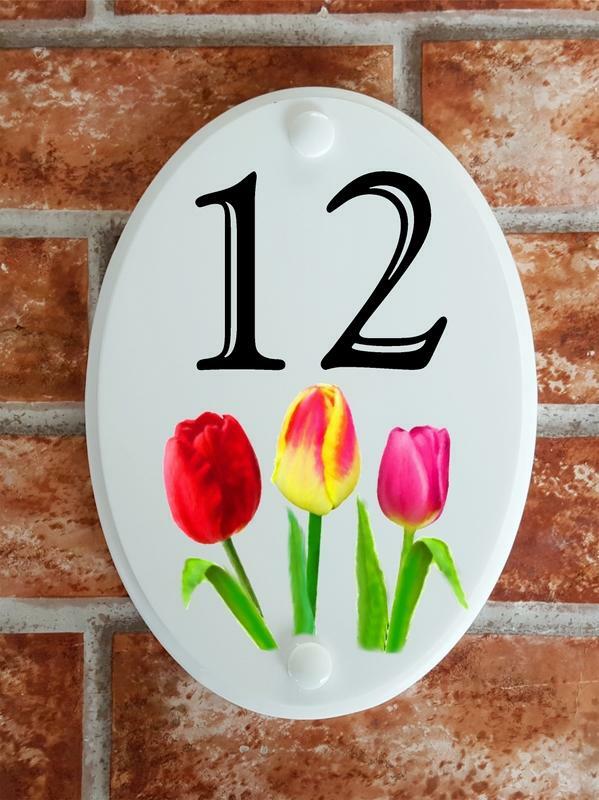 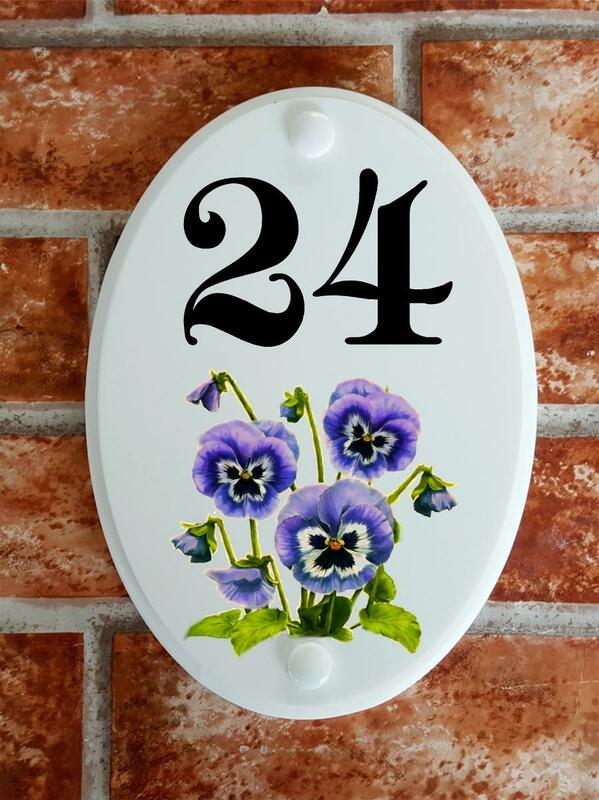 For your convenience we have placed all styles of house number signs we make in one category below. 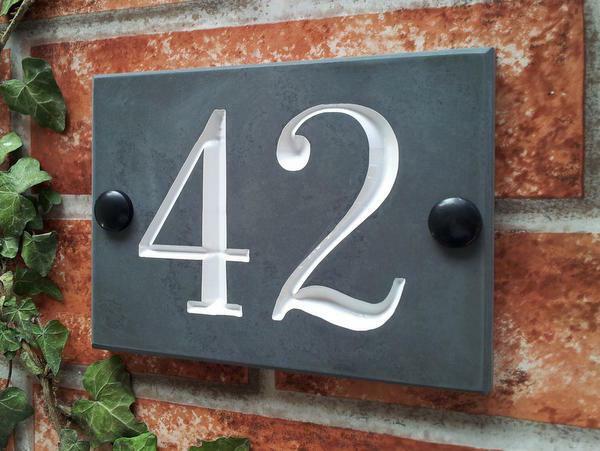 We can make reflective house numbers that give better visibility at night in various shapes, sizes and background colours. 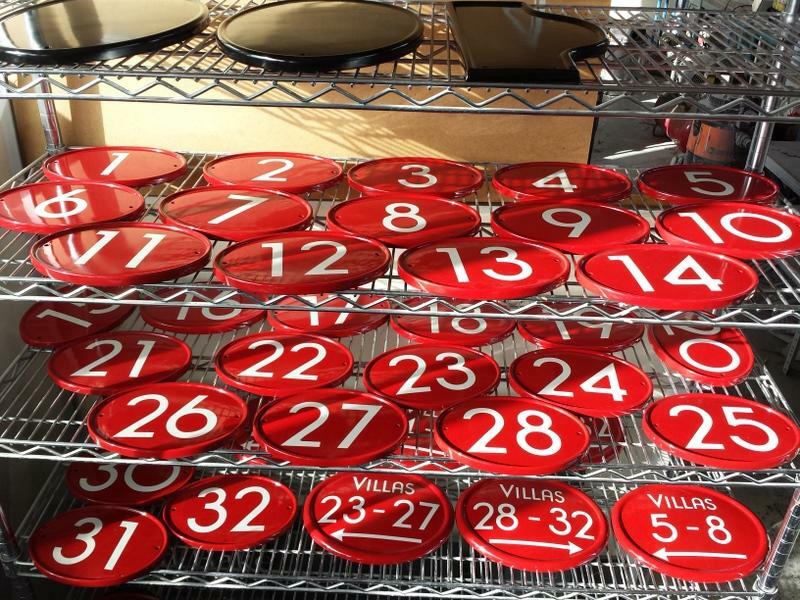 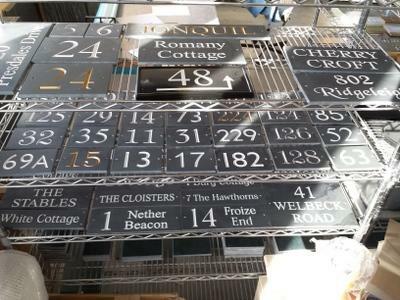 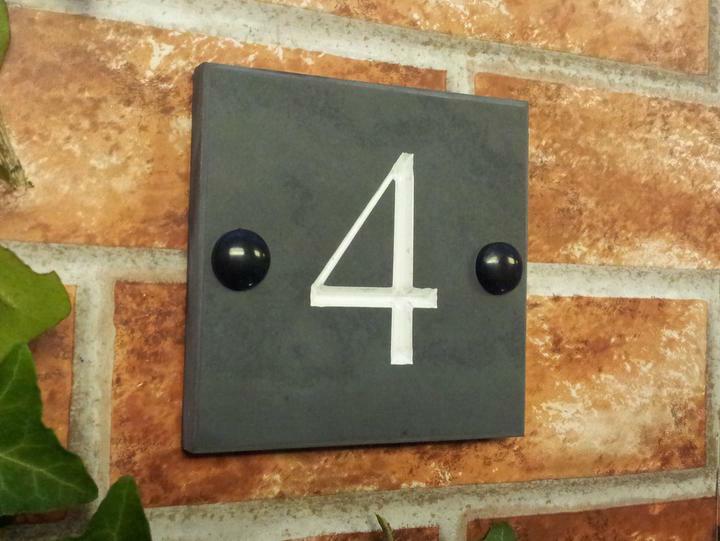 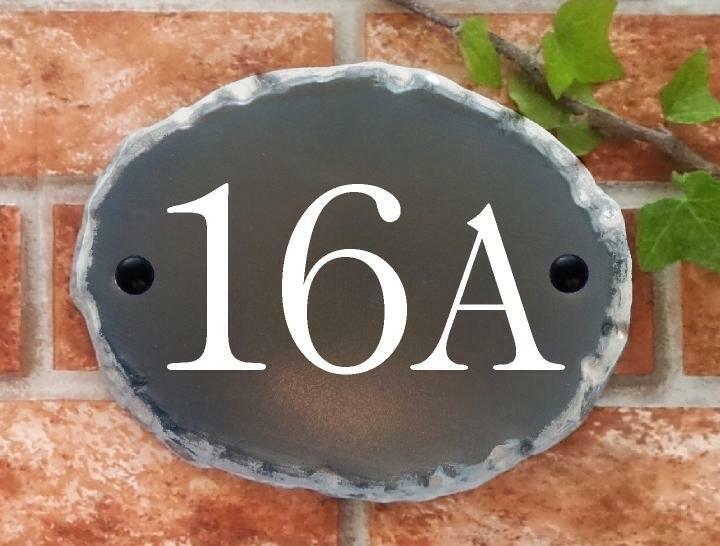 We also offer solid slate house number plates with deep v-cut engraved house numbers for a prestige look. 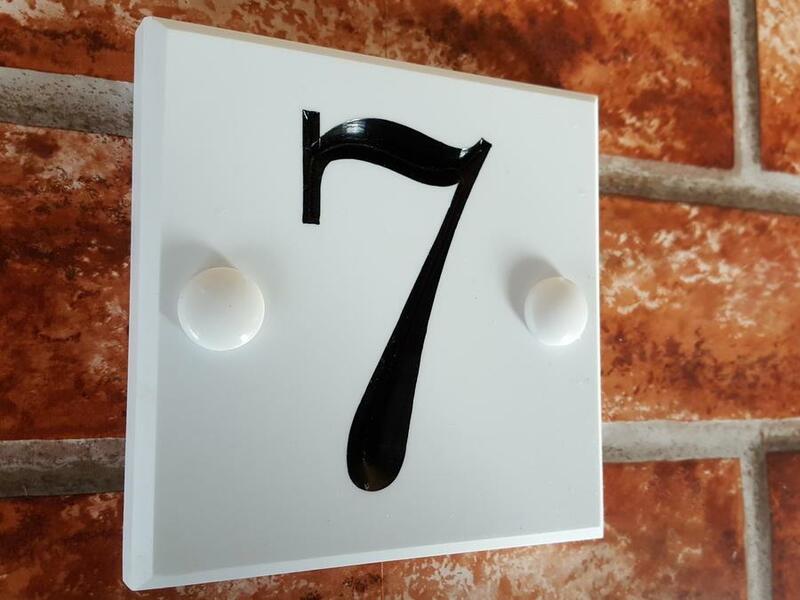 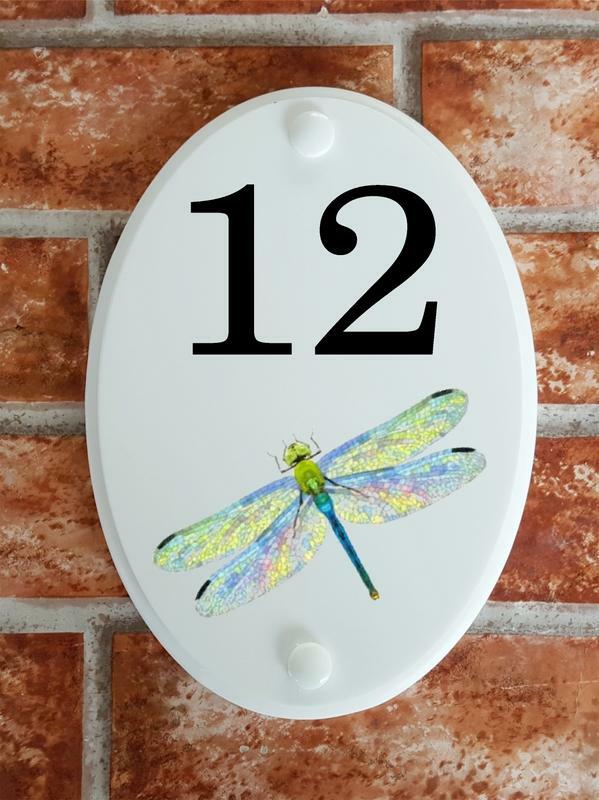 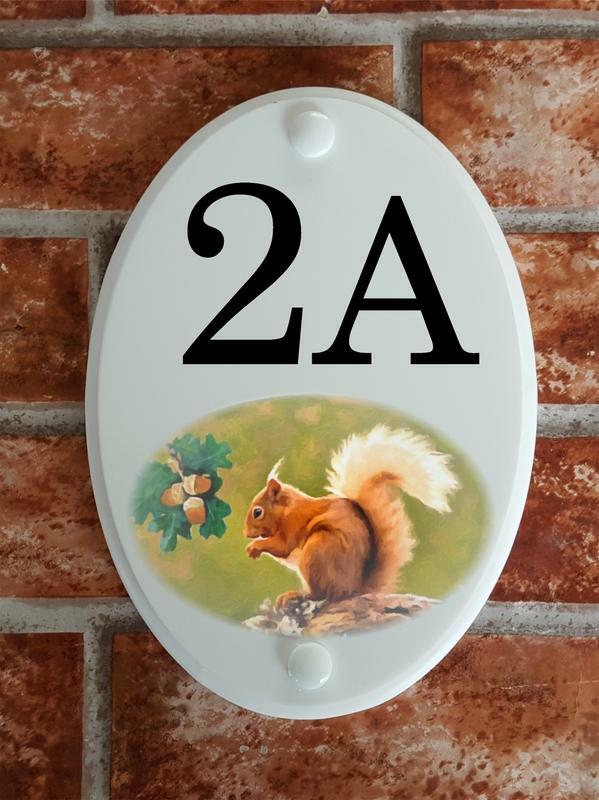 We are able to make house number signs with 1,2,3,4 or even 5 digits, also house numbers with a suffix letter or with direction arrows. 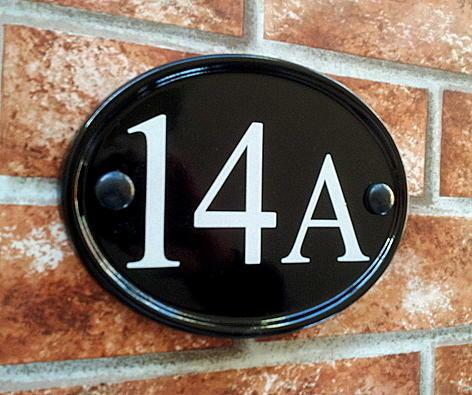 For builders, developers and housing associations we offer a discount for more than 5 house signs in a single order, please contact us by email or phone for a bulk trade price.